The Digi Connect Wi-ME 9210 embedded system-on-module (SoM) enables secure wired and wireless networking. Built on Digi's powerful NS9210 ARM9 processor, these high-performance modules allow customers to implement next generation network-enabled products. 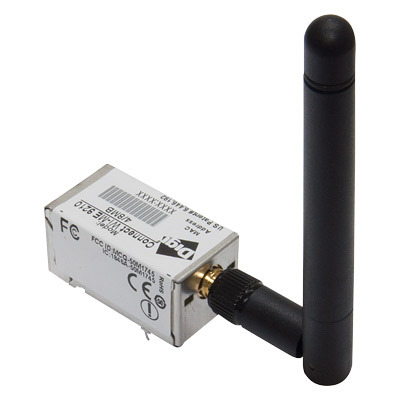 Additionally, their RJ-45 form factor is pin compatible with other Digi Connect ME and Digi Connect ME 9210 modules. Digi Connect Wi-ME 9210 modules feature the development and operational benefits of the iDigi® Device Cloud™. This secure, highly-scalable platform seamlessly ties enterprise applications and remote devices together. iDigi Manager Pro empowers IT, network operations and customer support organizations to conquer the challenges of managing equipment in their device networks. Network managers can remotely configure, upgrade, monitor and troubleshoot remote devices, and create applications that improve productivity, speed and efficiency. These modules can provide future application-specific interface options through the programmable Flexible Interface Module (FIM), while keeping the main serial port or other key peripheral interfaces available. They are well-suited for more advanced core module applications by supporting up to ten shared GPIOs, external IRQs and an extended set of peripheral interface options.